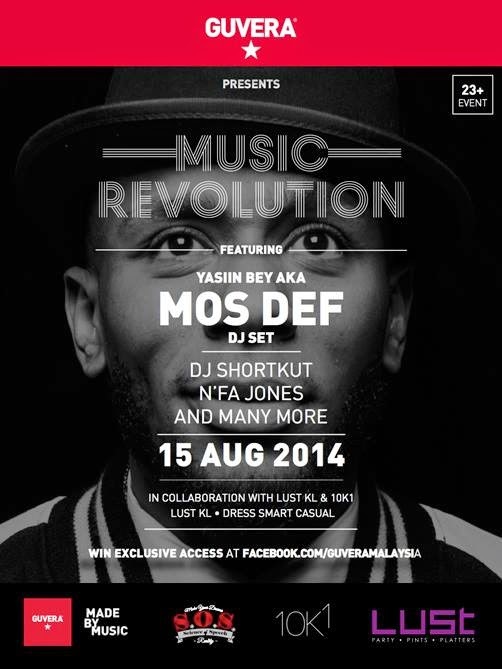 Actor and award winning rapper, Mos Def, is coming to Malaysia! Def will be wowing the crowd in Kuala Lumpur come this August 15. 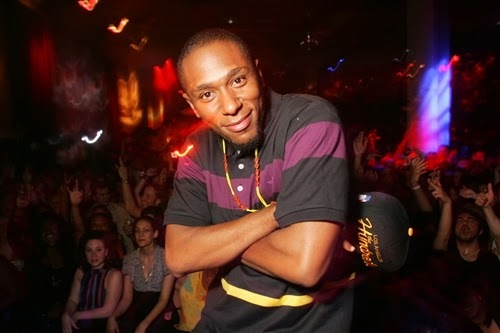 Born Dante Terrell Smith, Mos Def also goes by the name Yasiin Bey. Def has a successful acting career most noted for his roles in “Be Kind Rewind” and “Cadillac Records”. He has won several awards including Black Reels, Emmy and Golden Globes. The legendary rapper-actor was also a major force in the underground hip hop scene back in the 1990s. Music streaming service Guvera’s Facebook page is giving some lucky fans the chance to catch the rapper in action when he comes down for a hopping night at Lust club, Changkat Bukit Bintang, Kuala Lumpur. Other performers of the night include turntablist DJ Shortkut, among others. Def is currently touring Asia as his Facebook page updated that other than Malaysia, he will also be making stops at Hong Kong, Indonesia and Singapore. Def will be seen next in the Jennifer Aniston, Tim Robbins and Isla Fisher starrer “Life Of Crime” releasing in U.S. this month. Official poster for the event in Kuala Lumpur.